Greek government bond yields moved close to historic low levels today, after an official said there was an agreement to repay the loans to the International Monetary Fund, which would mark another step away from the Athens debt crisis. 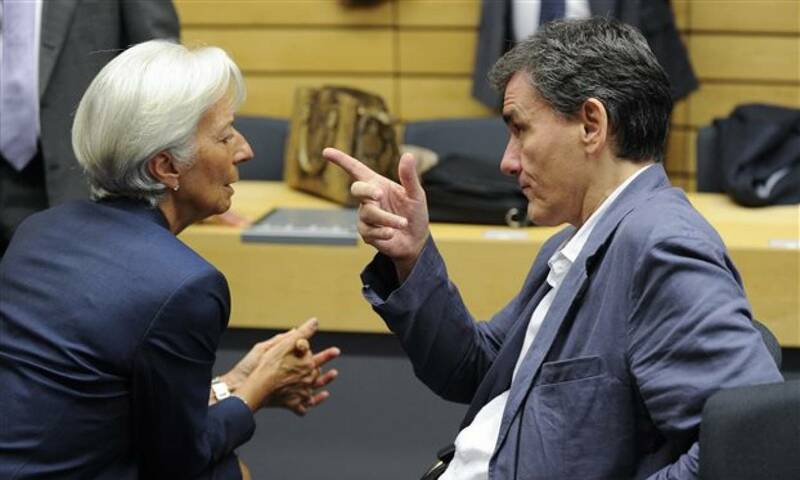 A high-ranking official said late Friday that Greece was seeking a weekend deal to repay about half of the loans it received from the IMF, in an attempt to reduce its debt servicing costs. The yield on the 10-year Greek bond fell to 3.29%, the lowest since September 2005 and close to the historic low of 3.203%. The five-year bond yield also stood at a 13-year low at 2.16% at the end of last week. At the same time, the yield of the 10-year German bond moved close to a three-week high, at 0.054%. The looseness with which the IMF deals with Greece at this juncture should come as a surprise, having even accepted the surpluses of 3.5% of GDP by 2022. The reason is that the Fund has accepted its symbolic and technical role in Greece and expects to see what kind of increased powers the new ESM will have on Europe. For the time being it lies in wait. The Athens Stock Exchange records the strongest rally in the last two decades, writes the German Handelsblatt, stressing that the problem investors face is that there are not enough stocks to buy, as Jojef Guerlain, the manager of Amber Capital, says. Guerlain estimates that there is a spectacular recovery in Greece: “The economy has very strong foundations, it will have extremely strong fundamentals”, Guerlain told Bloomberg. The Greek recovery is an architectural style with marble columns, writes Bloomberg, adding: “It is also a good description of the reputation of a nation that has been mocked by investors, where there are columns of numbers that measure unexpected economic resilience”.